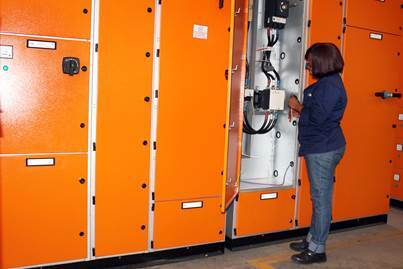 Local firm JB Switchgear Solutions (Pty) Limited was recently awarded a multi-million Rand contract for the design, manufacture and supply of motor control centres and VSD panels destined for Anglo American Platinum’s Amandelbult Chrome recovery plant. The chrome recovery plant (CRP) will be installed prior to the secondary circuit, mainstream inert grinding (MIG) process and scavenger flotation. The new CRP will be of a modular design consisting of twin modules of spiral concentrators, employing a multi-stage configuration of separators and spirals. Once the chromite’s been extracted, the concentrate will be redirected to the platinum benefication plant for further processing. The project is located within Rustenburg Platinum Mine’s mining right area 25km south of the town of Thabazimbi in the Limpopo Province. The chrome recovery plant will comprise two modules, with the combined capacity of 250 kilotons per month and will each be approximately 30m x 30m in size. Each chromite recovery module will comprise feed systems, thickeners, cyclones and spirals. JB Switchgear is a level 4 BEE supplier, ISO 9001 certified with comprehensive IEC 61439-2 type test certification on their ‘Eagle’ series, including internal arc. This design is well proven, with around 30 000 tiers installed in many countries. The project is located 25 kilometres south of Witbank, Mpumalanga and is an optimisation of existing coal operations and reserves within the Tweefontein complex, which increases capacity and extends the life of the project. The project comprises the establishment of a sequence of large open cut pits, the construction of a new coal handling and preparation plant (CHPP), a new rapid rail load out terminal and all associated infrastructure. Costing ZAR 8.2 Billion, the project is intended to process 7.9 Million tonnes of saleable thermal coal per annum, for both the local and export market, over a lifespan of approximately 24 years. 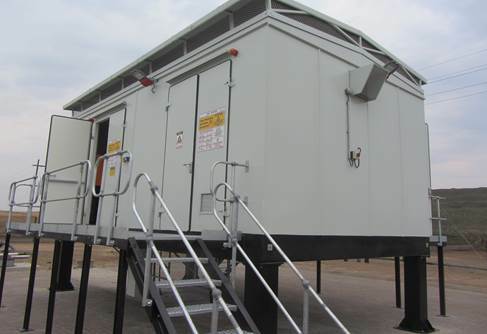 JB Switchgear’s scope included the design, manufacture and supply of various motor control centres (MCC’s), RMU’s, BTU’s, Nerm panels, PLC’s, dry-type transformers, VSD’s, soft starters and other peripheral equipment. Operational voltage is 525V, with a design fault level of 35kA/1Sec. Completion of the order is scheduled for end October 2015. The equipment supplied by JB Switchgear will be integrated into specially fabricated E-houses manufactured by Efficient Power. A second UG2 milling and flotation circuit to re-process the existing TSF. Two tailings re-treatment plants for the extraction of PGM?s from the existing TSF. A chrome recovery facility to extract chrome from the existing TSF. A hydrometallurgical processing facility for the treatment of flotation concentrate. Additional support and services infrastructure and a number of community based initiatives. In this instance, JBSS will supply their ?Eagle series? motor control centres, which feature a robust, reliable and user-friendly design, supported by comprehensive type-test certification.